That’s all what my social media accounts can share as to meals in Japan. A friend of mine even asked if I’ve tried other cuisine of Japan, as what they see are ramens of varied vantage points and restaurants. 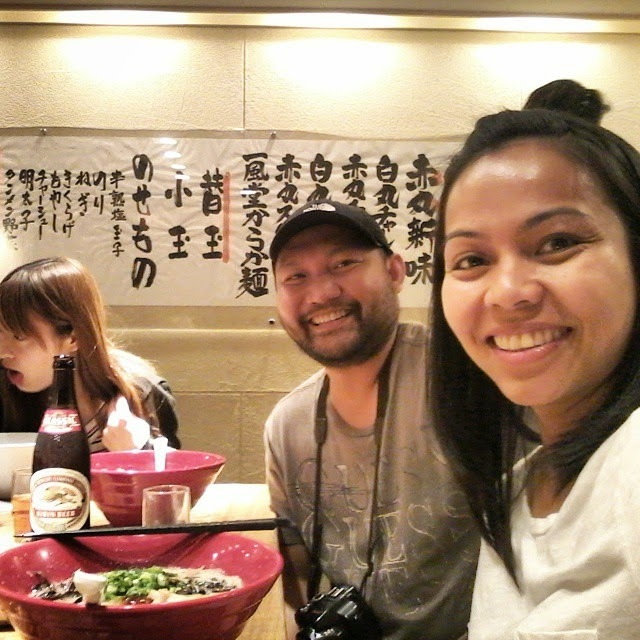 Ramen has gained popularity in the Philippines and with the opening of Ippudo in Manila, how can I resist dining in a country where this commercial establishment came from. “It takes a minimum of two hours to be served at Ippudo New York City.” my travel buddy, a resident of New York City, so declare. 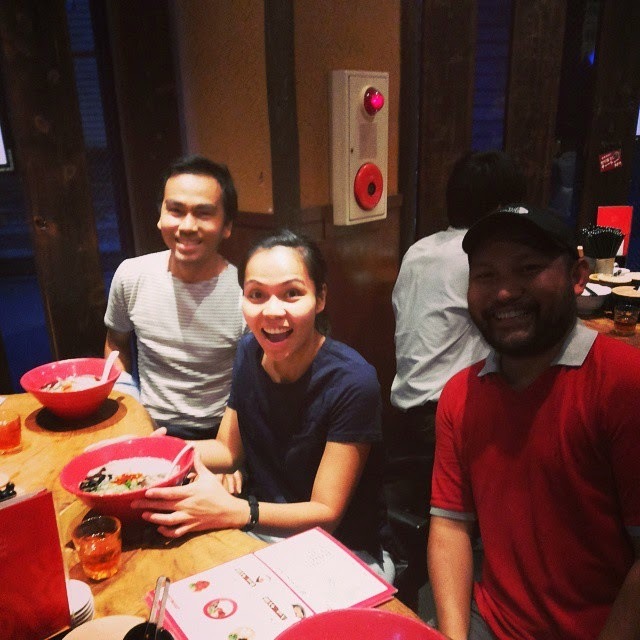 There’s no point of comparison for me as I have never been to Ippudo Manila and so we heeded the call of our appetites and food culture adventure (for lack of proper term). My first Ippudo ramen experience was in Kyoto, Japan. It only took 5 minutes for us to be seated and a long line of queue is nowhere to be found. We were seated in a round table along with other guests. No exclusivity I should say and a good opportunity to converse with seatmates if congeniality strikes you. “Sumimasen. Akamaru special and beer.” This is my usual lines when placing an order at any Ippudo ramen shop in Japan. With the huge serving, a bowl of ramen would suffice as a day’s meal (talking about budget travels). There are three (3) base ramens to choose from, namely: shiromaru, karaka and akamaru. 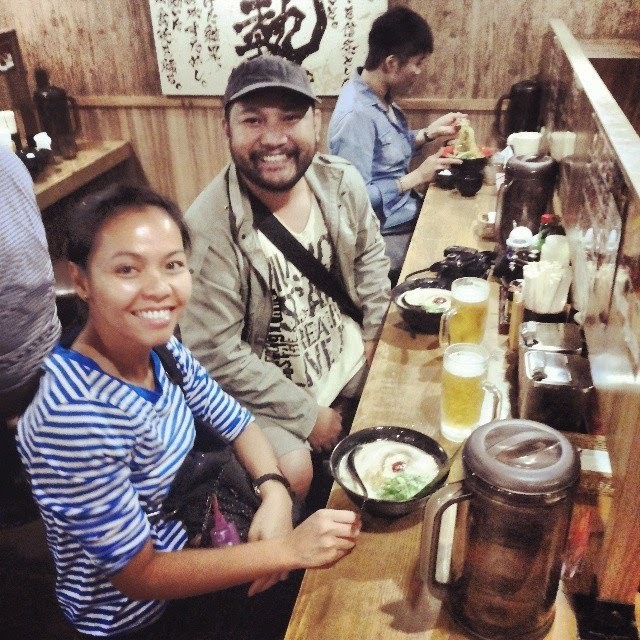 Shiromaru is considered the original taste of Ippudo’s ramen. It is an original tonkotsu broth served with noodles, pork belly, bean sprouts, black fungus and spring onions. This is the classic Hakata-style ramen. Karaka is an improved version of Shiromaru. With shiromaru classic pork as its base, Karaka introduces a spicy miso topping mixed with herbs and spices. Akamaru is Ippudo’s original tonkotsu broth enhanced with special blended miso paste and fragrant garlic oil, served with thin and straight noodles, pork belly, bean sprouts, black fungus and spring onions. This is the refined, modern-style ramen. As soon as the bowl was served, all ingredients were mixed and indeed, each ingredient and spices complement with one another. No need for condiments based on my sense of taste. Aside from ramen, the crispy gyoza which flavor lingered for a long time was a personal favorite as well. It is known as the Hakata bite-sized dumplings. According to my friend, there is a pork bun available on other franchisees of Ippudo – New York, Singapore and Hongkong, which is one of the restaurant’s bestseller. But there is none in Japan, which makes me curious to taste test even in the Philippines. After Kyoto near the Nishiki Market, we tried Ippudo again in Osaka City, then in Tokyo. Excluding Kyoto Ippudo where signage is in Romanized text, all others are written in Hiragana characters. Hence, locating for the shops is a challenge. However, due to its popularity and quite a number of diners lining up to be served, the search becomes easy. Interiors are no frills and simple. Shared wooden tables and chairs is the main theme for all these ramen chains. Ippudo literally means “one wind hall” which shop originated at Fukuoka, Fukuoka. It is now considered one of the popular restaurant ramen chains in the world. And I’m glad I’ve tried the dishes in a country where it all started. A ramen for me would not be complete without a bottle/glass of beer. How about you?